Easily put Bitdefender Rescue CD on a USB Flash Drive: Bitdefender Rescue CD is a free bootable anti virus scanner created by Bitdefender and based on the Knoppix Linux Operating System. It can be used to independently scan your computer for viruses, and then remove those threats if necessary. In the following section, we show you one way to quickly put Bitdefender Rescue CD on a USB Flash Drive by using our Universal USB Installer from Windows. 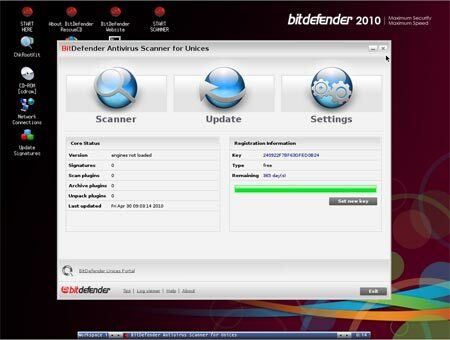 Download and launch our Universal USB Installer, select the "Bitdefender Rescue CD" option and follow the onscreen instructions. Once the script has finished, restart your PC and set your BIOS or Boot Menu to boot from the USB device, save your changes and reboot. If all went well, you should be booting from your very own Bitdefender Rescue USB.